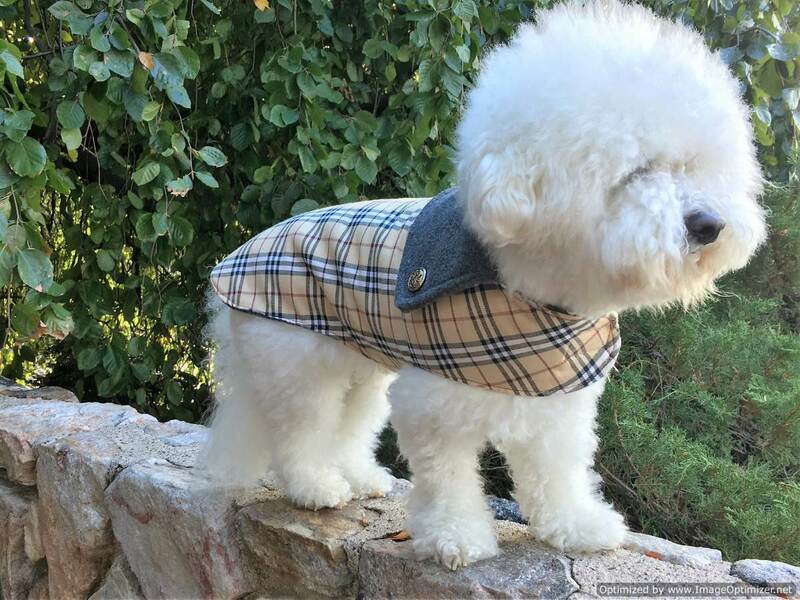 SASSY PAW Tartan famous designer-inspired lined plaid dog coat. 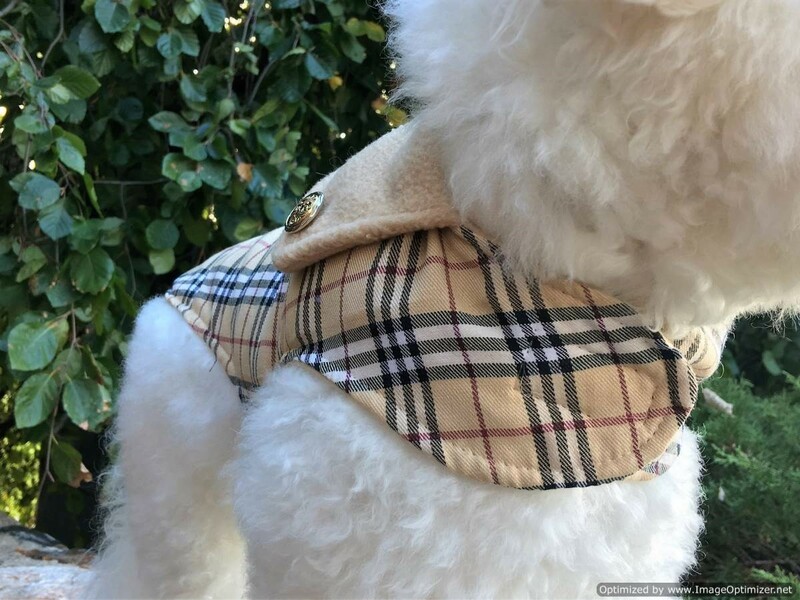 This famous designer-inspired puppy dog coat exudes total class and sophistication for you as well as for your pet. 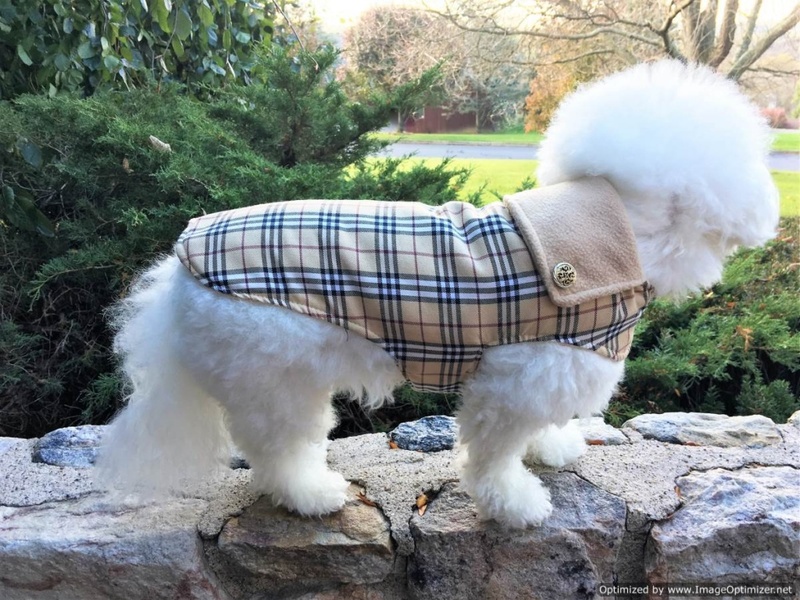 The traditional plaid outer colors are tan, charcoal, burgundy and white. Choose from a charcoal or tan fleece interior. Outer coat fabric made of trendy cotton-poly fabric. Lined in premium, warm charcoal or tan anti-pill fleece for warmth and softness. 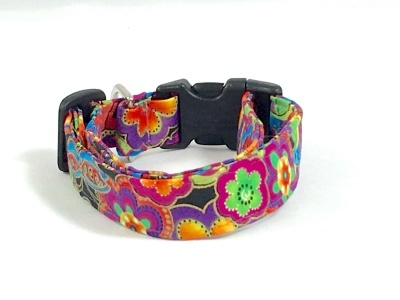 Collar is accented with metallic English buttons. (Metallic buttons can vary depending on what is in stock but will always be premium English style). 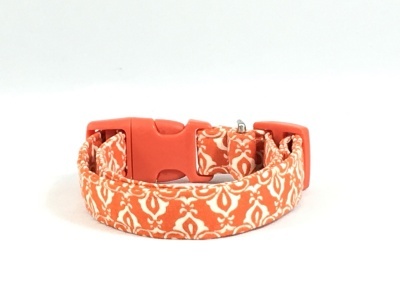 Made in America for sassy dogs who want to be spoiled and well presented. Machine washable. Made to order. Available in sizes Micro through XXL and custom orders. 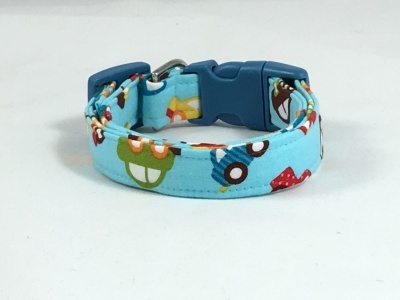 Length and closure can be tailored to your dog by simply noting your dog’s three (3) measurements in the notes of your order at checkout. If the tailoring is simple, it will be done as a courtesy for you. Note: The measurements listed are about the dog, not the garment. 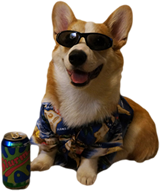 Note: Sizes are approximate. 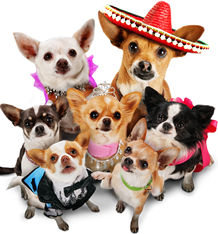 If you are between sizes order up. 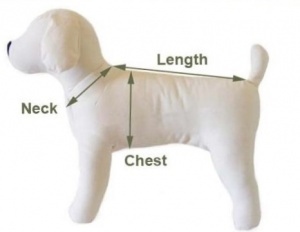 For the best fit, your dog’s CHEST is the most important measurement. Neck 5-9" 5-9" 9-11" 10-12" 12-14" 15-19" 20-26"
Chest 6-9" 9-12" 11-14" 15-19" 20-24" 25-29" 35-40"